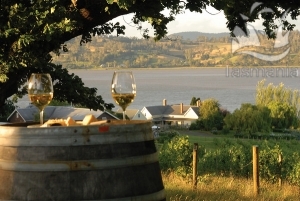 There are four key things that visitors to Tasmania consistently love - the breathtaking natural beauty; deliciously fresh local foods; extremely well preserved heritage; and very friendly, laid-back people. More than 20% of the whole island (about 1.4 million hectares) is preserved as world heritage natural wilderness, making it one of the last true wilderness regions on Earth, preserving a greater range of natural areas and cultural heritage than anywhere else on the planet. This has created an island “escape” environment – people from all over the world target Tasmania as one of the few places in the world where they can explore true wilderness without travelling too far from “civilisation”, making it an ideal holiday destination for bushwalkers, cyclists and campers as well as those who enjoy all the comforts of home or five-star resorts. Everything in Tasmania can be done at a leisurely pace. There are plenty of pristine beaches that are virtually deserted; majestic rivers for every water activity; spectacular mountain ranges; and breathtaking forests filled with enchanting birdlife, native animals in their natural habitat, and fascinating native flora. While it might be a wilderness destination, the cities and villages across Tasmania feature modern facilities and services so it is definitely a holiday you can enjoy in comfort. 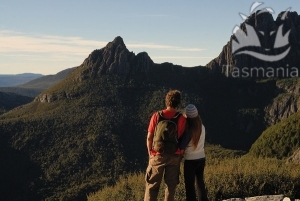 Cradle Mountain is one of the most popular trekking destinations in Australia and is one of dozens of spectacular wilderness tracks that are monitored and serviced by National Parks. Find out why Hobart was named one of the best cities in the world. 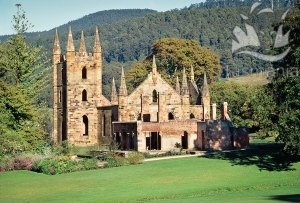 Port Arthur in the state’s southern peninsular is Australia’s most preserved convict settlement – established in 1830 it housed over 12,500 convicts and has dozens of fully preserved or restored buildings among the ruins. The way of life for everyone in the penal settlement – whether they were convicts, soldiers, or civilian families – can be imagined in a surprisingly realistic way due to the “original” condition of the area. A cruise to the nearby settlement burial ground known as the Island of Dead, or a visit to the strictly-disciplined boys prison (a reformatory for juvenile males) ensure that a few days exploring the Port Arthur region will leave a memorable impression. Tasmania is known internationally as The Apple Isle because of its long history of exporting apples that seem to absorb the clean crisp air. 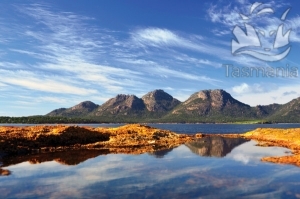 Today Tasmania is equally famous for its oysters, salmon, abalone, lobsters and other delicious seafood; cheeses, berries, chocolates and stone fruits; as well as some delicious award-winning wines and magnificent beef. Whether you catch and cook the lobsters, oysters or trout yourself, or experience the culinary styles of talented chefs plying their skills in restaurants throughout the country, a lasting memory of your holiday will be the delicious tastes of Tasmania. IF VARIETY is the spice of life, Tasmania is topographical saffron. From desolate mountains to temperate rainforests, historic sites and salt-white sand beaches, the Island State has it all. And linking these picturesque panoramas are some of the best roads in the nation. As Targa Tasmania competitors will attest, the bitumen is just as diverse as the natural beauty. One of the best routes to combine challenging roads with jaw-dropping scenery meanders from Launceston. In Launceston, take the Blessington Rd (C401) towards Ben Lomond. If the clock isn't ticking, detour up the mountain via the series of switchbacks known as Jacobs Ladder. The payback is an amazing view that, depending on the season, includes a waving riot of colour as the wildflowers bloom and obscure what is usually a rock-festooned lunar landscape. Turn right back on the main road and keep going - the name changes to Mathinna Rd (B43) - but stay on it until you reach the T-junction in Fingal. The historic town was established in 1827 as a convict settlement but the 400 folk who live there today earn a living from agriculture and the Cornwall Coal Company. The main strip is Talbot St - stop in at the Fingal Hotel and soak up the history. The building is home to a staggering 340-odd brands of whisky, which is said to be the largest collection in the southern hemisphere.Head for St Marys on the Esk Highway (A4) and turn right on to Elephant Pass Rd once in the town. The pass famous for its 9km of curves - is just ahead. The road is tight and often littered with bark and leaves, so moderate the pace to appreciate the views. And a stop midway for pancakes is just about mandatory. The entire Elephant Pass Rd is a driver's delight, but it comes to an end at the Chain of Lagoons on Tasmania's east coast. There's a tough call to be made here: turn left and head for St Helens, or veer right to visit Bicheno. The Bicheno loop will add 56km to the journey but is worth it for the seafood and entertaining the kids with a penguin tour or a visit to the Blowhole: an opening in a rock shelf that can erupt with a fountain of water up to 20m high. Retracing the drive back to the Chain of Lagoons brings another decision: keep going on the Tasman Highway (A3) or head back up for another crack at the pass. If the drive experience is the priority, go for plan B. Not only will you traverse Elephant Pass in both directions but a right turn back in St Marys will add St Marys Pass to the itinerary. The views aren't quite as spectacular but the road is just as windy. Both passes were carved out of the cliffs by a crew of 300 convicts more than 150 years ago. Either route will take you to the seaside fishing town of St Helens. A detour to the Peron Dunes - hectares of rolling sandhills - is a good way to wear out the kids, while the Bay of Fires, named after the orange lichen-covered boulders that dot the otherwise pristine white beach, is a spectacular sight. Keep on the Tasman Highway heading for Scottsdale. It's a highway in name only - the road is a twisted ribbon of bitumen complete with off-camber corners, suspension-lightening dips, postcard-potential farmland and dense bush. After 30km, keep an eye out for St Columba Falls Rd. 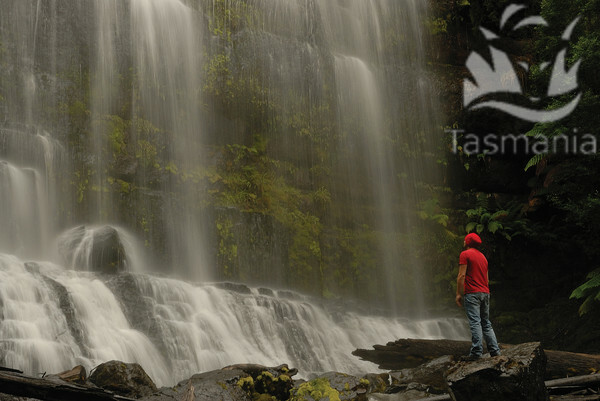 The falls are a 94m cascade set amid sassafras and myrtle forest and the ever-present ferns that mark this corner of the northeast.The road is also the route to the Pub in the Paddock. It's a great place to have a beer - and share it with one of the resident pigs. They like the taste and I like the way they taste when their beer days come to an end. Back on the A3, aim for Scottsdale, specifically the road just out of town which is known as the Sideling. It's a 7km strip of asphalt that tests driver and machinery. The rest of the run back to Launceston is exhilarating. In all, the journey will cover about 420km and take about seven hours, so, an overnight stop in St Helens or Bicheno is recommended. 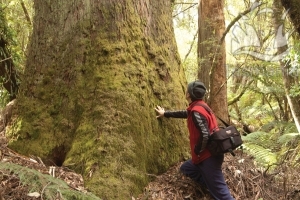 A pass is needed to access many of Tasmania's parks. By far the smartest option is a $60 "holiday pass". 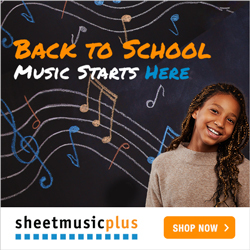 It is valid for eight weeks and gives up to eight people unlimited access to all venues. 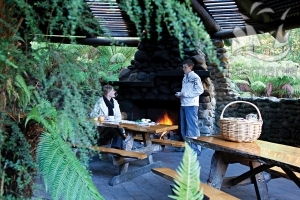 A daily pass costs $24, but access to Cradle Mountain is $41.25 for a family.